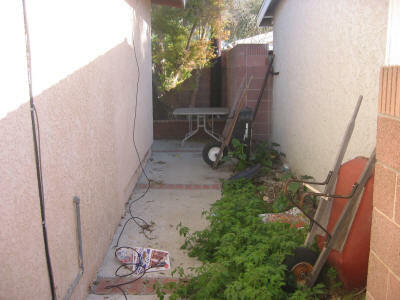 The garden space before cleanup was a neglected area which had no useful purpose. 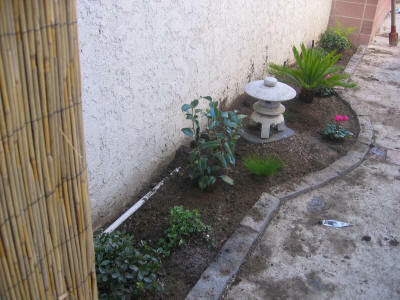 I wanted to transform it into a small backyard Japanese garden space. 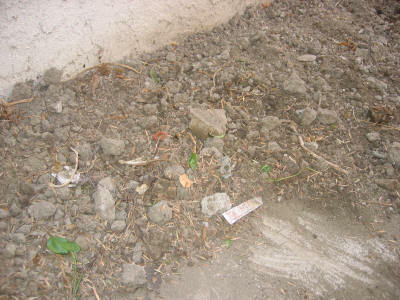 The dirt was dry and full of rocks. 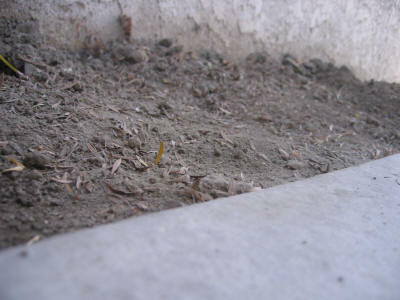 I raked the planter and used a shovel to break break up dirt. 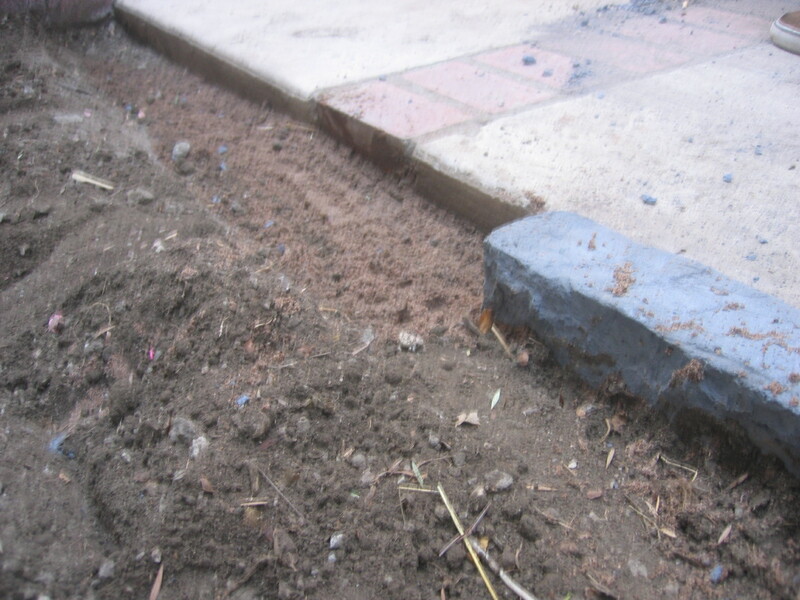 The rocks were removed and excess dirt moved. 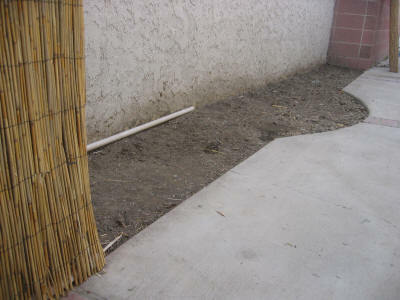 I prepared the planter area to be planted with new landscape plants. 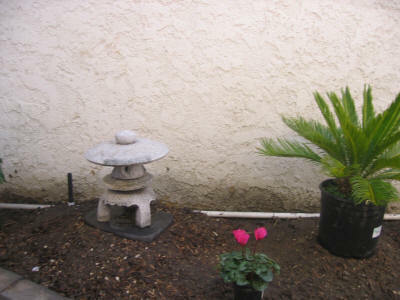 I used stone bricks to line the planter. 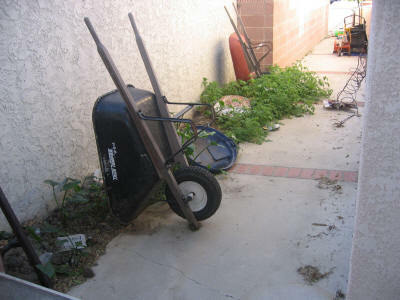 This will keep the ground cover and other mulch in the planter box. 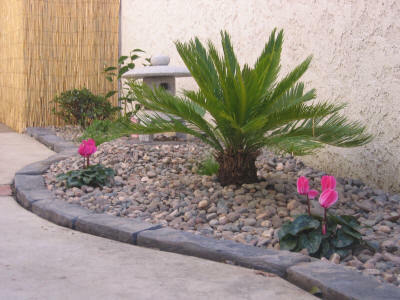 It also gives the space color and dimension. 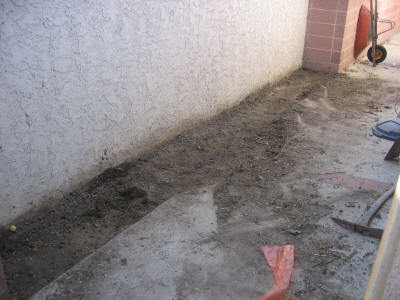 I designed the planter area and placed the plants where they should go before digging holes. This would ensure the planter was not too crowded. 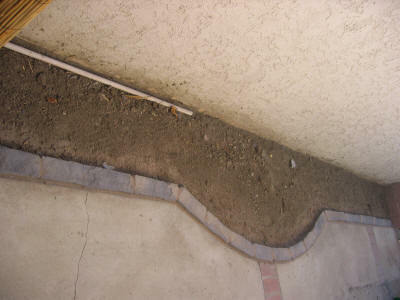 Once the plants were in, and rock ground cover in place the planter was finished. 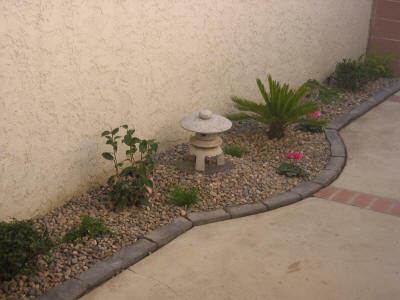 The Japanese garden retreat is complete and ready for garden furniture.